As democracy’s third wave gathered steam, constitutional engineers argued fervently that “getting the institutions right” could help inoculate fledgling democracies from breakdown. Linz famously warned that reverting to presidential models of democracy in Latin America would perpetuate the cycle of democratic instability in the region. He cautioned of a “dual mandate” problem: since both executive and legislature could claim to speak for the voters, they were destined to clash. Fixed terms and an aura of sovereignty would only make the matter worse and lead to praetorian politics. 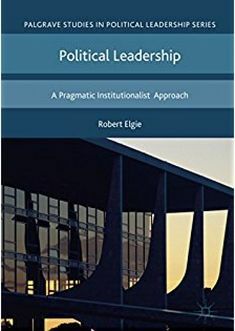 Such arguments notwithstanding, newly (re-)emerged democracies throughout Latin America maintained presidentialism but reformed its institutional framework by improving its flexibility and stability in various ways. This broad institutional experimentation begs the question: are certain models of presidentialism more likely to produce consolidated democracy? Focusing on attitudinal consolidation, in an article recently published in Political Research Quarterly, we reason that executive powers are associated with opinions about democracy. On the one hand, voters expect a degree of control over presidents, and a president that supersedes his or her mandate could spur disillusionment with the principles and performance of democratic regimes. On the other hand, an enfeebled president who lacks power could end up in perpetual conflict with the legislature, leading voters to become unhappy with policy immobilism and, ultimately, a deficit in representation. Thus, from a citizen’s perspective, the sweet spot should lie in the middle. Presidents who are either very weak or very strong will foster discouragement with democracy. But presidents who have balanced powers, and thus must engage in some give and take with the legislature, will cultivate public support for democratic regimes. To test our expectations, we gather surveys spanning 1995-2005 from 18 Latin American countries, all with presidential models of democracy. Our dataset includes over 100,000 individuals, each of which was asked a.) whether they believe democracy is the best form of government, and b.) whether they are satisfied with the way democracy works in their country. We also gathered three measures of presidential power: an index of the legislative powers afforded to the president by the constitution, a measure of the degree to which the president is constrained by the legislature, and a measure of the president’s realized legislative success, or “box score,” calculated as the percentage of bills initiated by the president that were approved by the legislature. As an example, the bottom-right panel depicts the relationship between legislative success and the probability that a citizen is “very”or “fairly” satisfied with democracy. Consider a president whose passage rate is just 33 percent, like Colombian president Ernesto Samper in 1996. Starting from this low success rate, a standard deviation increase is associated with about a 7-percentage point increase in the likelihood that a citizen is satisfied with democracy. Citizens value presidents who are not completely ineffectual. Compare this to a president with twice the passage rate (66 percent), such as Honduran president Carlos Roberto Reina in 1996. Starting from this middling success rate, a standard deviation increase is associated with about a 10-percentage point decrease in the likelihood of a respondent expressing satisfaction with democracy. Citizens also value presidents who are not completely dominant. Interestingly, this curvilinear relationship is not conditional on economic performance or trust in the president. In other words, citizens do not desire very strong powers for presidents who preside over booming economies, and even citizens who fully trust the president become less positive toward democracy when he or she wields vast authority. Note: a slightly different version of this post appeared at The Quantitative Peace in June of 2014. Shane P. Singh is an Assistant Professor in the School of Public and International Affairs at the University of Georgia. He received his Ph.D. in 2009 from Michigan State University. His research focuses on the institutional and contextual foundations of political behavior and attitudes. His work has been funded by the Social Sciences and Humanities Research Council of Canada, and his research has appeared in many academic journals and edited volumes. His website is found at http://www.shanepsingh.com. Ryan E. Carlin is an Associate Professor of Political Science at Georgia State University. He received his Ph.D. in 2008 from the University of North Carolina at Chapel Hill. He is a Faculty Affiliate of GSU’s Center Latin American and Latino Studies and the Center for Human Rights and Democracy, and an Affiliated Researcher of the Latin American Public Opinion Project at Vanderbilt University. His research interests are comparative political behavior and public opinion, with a regional emphasis on Latin America. His work has been funded by the National Science Foundation, USAID, the Mellon and Ford Foundations, and the Latin American Studies Association. He is co-editor of The Latin American Voter (University of Michigan Press, forthcoming) and his work has appeared in many academic journals. His website is found at https://sites.google.com/site/ryanecarlin/. This entry was posted in Latin America, Presidential power measures and tagged Latin America, Presidential Power on March 17, 2015 by Robert Elgie.